Time for a spot of pruning? This week, Twitter briefly tested a new feature that provides users with a suggested list of accounts to unfollow. 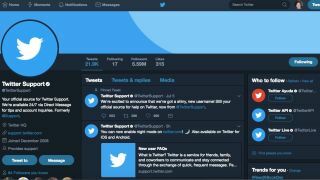 Originally spotted by TheNextWeb’s Matt Mavarra, the test – which only ran for a few days – provided a pop up on the user’s Twitter account that recommended the user review a list of "accounts you may not need to follow". In a statement to The Verge, Twitter explained that the test is a step towards cleaning up users’ timelines. The test for this feature has now concluded, and Twitter hasn't confirmed if it will be rolled out permanently.